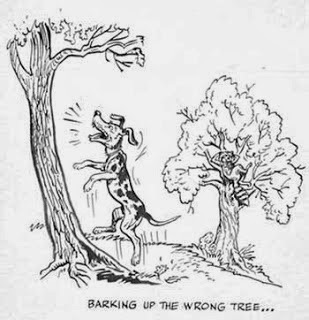 Mortgage Mailers – Are You Barking Up the Wrong Tree? The housing market is recovering, builders are building, sellers are selling and mortgage lenders are less nervous about extending credit to buyers. According to Corelogic, 2.5 million households regained equity in their homes in the second quarter. Things are looking up. So why are mortgage mailers complaining? The number of mortgage applications for purchases has increased by 7% over last year – but the refinance requests have fallen by 70% since early May. First time home buyers account for 49% of home sales. It stands to reason that Mortgage Mailers who are marketing mortgage products now, in today’s reality, need to stop trying to convince homeowners to refinance and refocus their outreach on the top performing mortgage segment – First Time Home Buyers. There are almost 10 million potential first time home buyers in the US. Mortgage mailers can customize their list by market, income and modeled credit score to create the best possible mailing list to generate top quality mortgage leads. One last caveat – the copy and offer need to match the list. No application fees, discounted inspections and creative housewarming gifts are the kind of offers that will resonate with First Time Home Buyers.